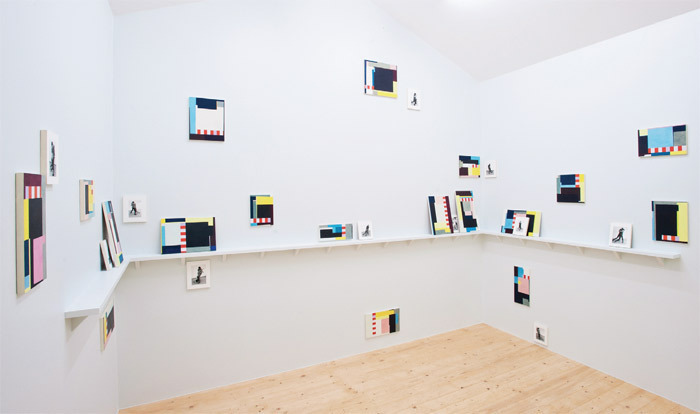 Doug Ashford, Many Readers of One Event, 2012, eighteen tempera paintings on wood and eleven ink-jet prints on wooden shelf, hut. Installation view, Karlsaue Park, Kassel. From Documenta 13. Photo: Nils Klinger. Both pedagogue and painter, Doug Ashford is a founding member of the collective Group Material, whose radical work defined an era of activism in art. In his current solo practice, Ashford explores the means by which abstractiondespite its historical baggagemight still be an effective and empathetic tool for social reform. Curator Maria Lind sat down with Ashford to talk about his recent work, including his installation at Documenta 13, and the ways in which such projects continue and extend his earlier activist ideals. Order the PRINT EDITION of the March 2013 issue for $17 or the ONLINE EDITION for $5.99.